Grace Robertson’s poetry is lyrical and reflective. She writes clearly and with purpose. Like many poets, her purpose is to give voice to the challenges with which she lives. Grace has struggled with an eating disorder for 8 years and writing poetry about her experience helps her process. She also hopes that those who read her poetry will learn from it. 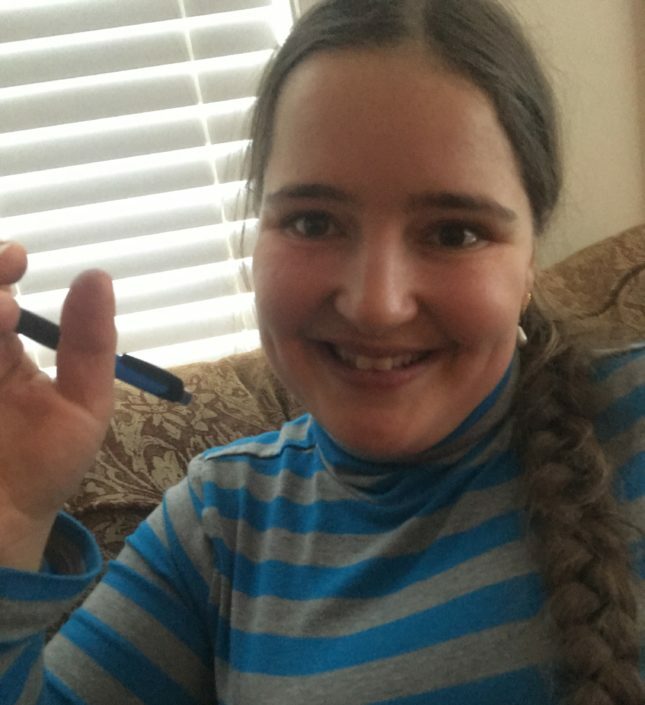 Grace Robertson is one of 14 poets who has been paired with 14 artists involved in Hear and See: Poetry and Art for Mental Health coming to the O’Connor Group Gallery in Chilliwack. Grace’s poem is one of 14 that will be on display in a unique installation called Hear and See: Poetry and Art for Mental Health, opening December 13th at the O’Conner Group Gallery in Chilliwack. Each of the 14 poets has been paired with an artist who has interpreted that poem visually. The exhibit is facilitated by Communitas Supportive Care Society, which supports people who live with mental health challenges. Communitas also supports people who live with developmental disabilities and acquired brain injury. This is the second installation of this exhibit; Hear and See was first shown at the Reach Gallery Museum Abbotsford earlier this year. 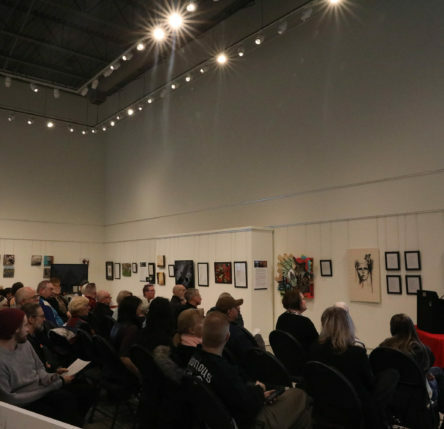 The exhibit was viewed by hundreds of people and nearly a hundred were in attendance for the Poetry Reading and Artist Talk that capped off the show. Many found the combination of word and image an effective way to draw awareness to mental health challenges. Angelika Dawson is the communications manager for Communitas and one of the exhibit organizers. She is excited that the exhibit has found another venue. 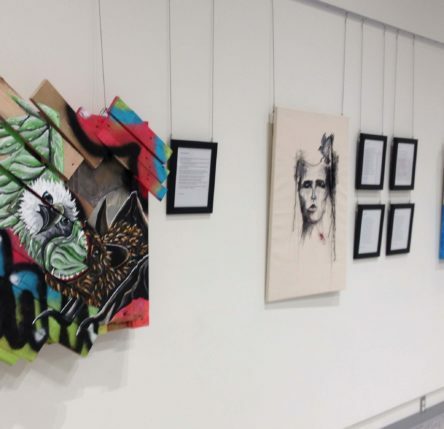 “This exhibit was met with such enthusiasm in Abbotsford and I’m excited to give these artists and poets another chance to create awareness about living with mental health challenges,” Dawson says. 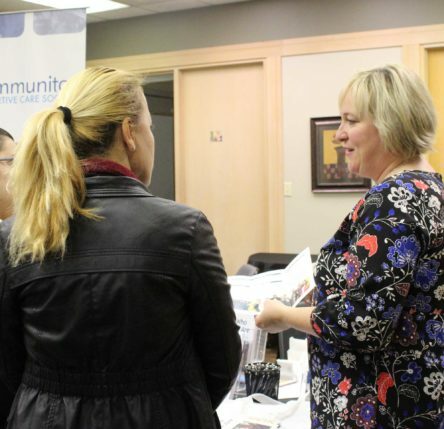 “The members of CVAA want to give back to the community by donating the proceeds of the fundraiser to Chilliwack Community Services and Communitas Supportive Care Society,” says Annet Holierhoek, a member of the CVAA executive. Hear and See: Poetry and Art for Mental Health opens December 13th at the O’Connor Group Gallery, 9201 Corbould St, Chilliwack. The exhibit runs until January 19th, 2019. 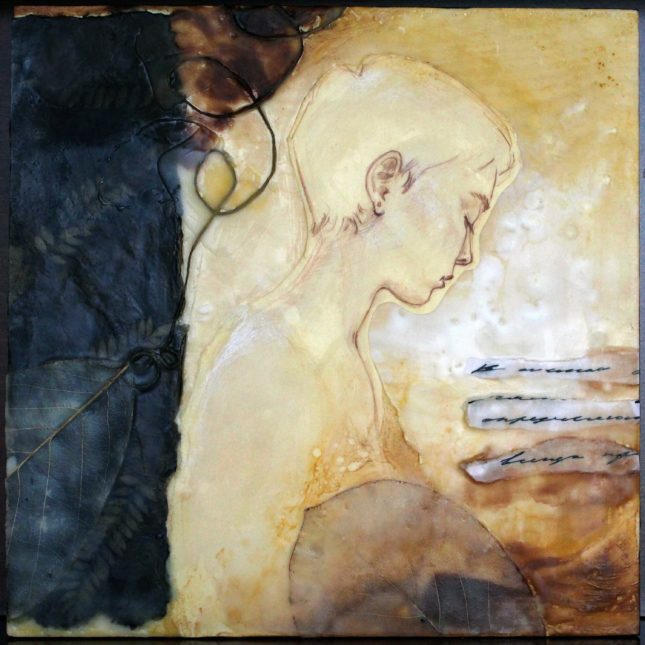 A poetry reading and artist talk is planned for Saturday, January 12th, 2019 at 1 pm. 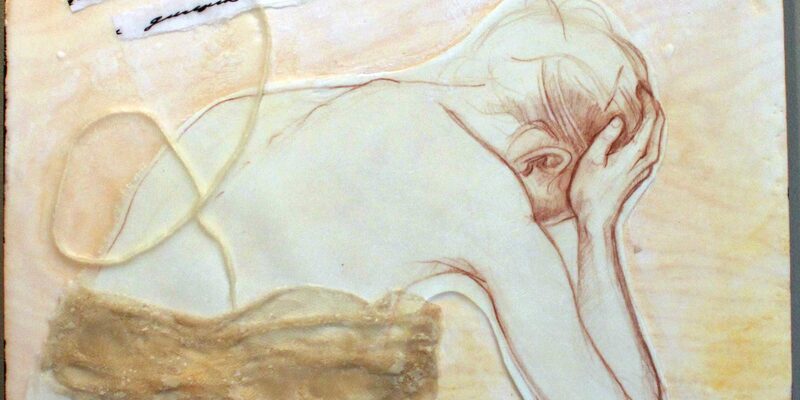 Hear and See: Poetry and Art for Mental Health is presented by Communitas Supportive Care Society and the Chilliwack Visual Artists Association.